Two Grenadians are among 60 persons within the region – who are directly or indirectly involved in finance and banking – participating in a 2 day workshop, which focuses on establishing an Asset Management Corporation (AMC) for the sub region. General Manager of Co-op Bank Richard Duncan, and Real Estate agent Paula LaTouche are among the 60 commercial bankers, members of the legal fraternity, public sector officials, appraisers, real estate agents and other key stakeholders in the banking and finance sectors who will, by Tuesday, have a better understanding about the legal framework for establishing such an institution as a result of participating in a workshop at the headquarters of the ECCB in St Kitts. 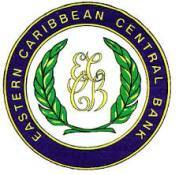 A news release from the ECCB said it is spearheading the establishment of the Eastern Caribbean AMC (ECAMC) to carry on the business of asset management for approved financial institutions which operate in the Eastern Caribbean Currency Union. During the workshop, the participants will be apprised of the purpose and function of the AMC and the legal framework within which it will operate. They will also be exposed to presentations on various issues related to the establishment of the corporation including: International Best Standards of Appraisal Methodology and Corporate Restructuring. According to Investopedia an AMC is a company that invests its clients’ pooled fund into securities that match its declared financial objectives. Asset management companies provide investors with more diversification and investing options than they would have by themselves.